Home Associations Profiling your ideal client: Why and how? In the next few weeks, I’ll be reviewing several blogs, including entries in the 2019 Best Construction Blog competition. 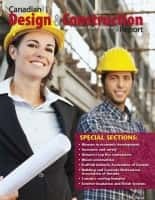 As a bonus, in preparing this year’s competition content, I reviewed the long-standing Construction Blogs and Resources List. 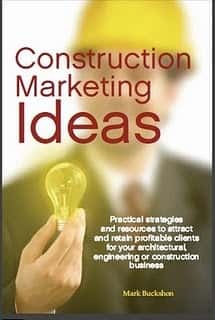 Here, I removed dead links and blogs that have not been updated in several years, while of course adding the new Best Construction Blog entries for 2019. 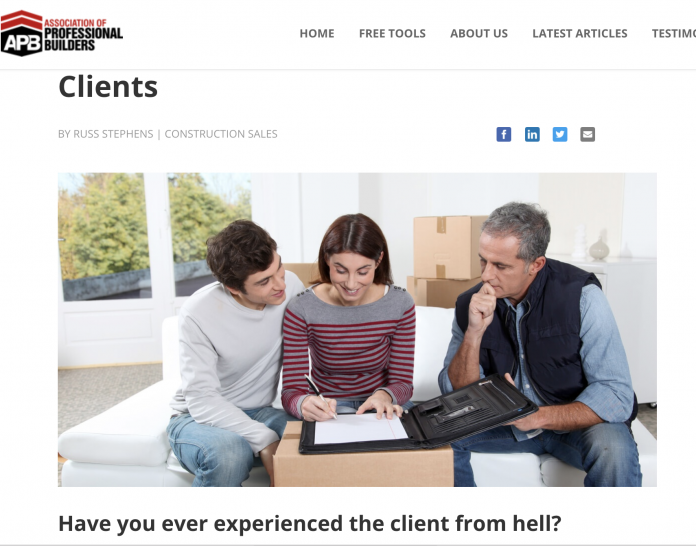 The Association of Professional Builders (APB) is based in Australia, but you don’t need to be “down under” (nor for that matter, do you need to be a homebuilder) to appreciate the value of this post: How to avoid building for nightmare clients. The concept is simple: Profile your ideal client through researching your best and most lucrative past clients, develop the ideal profile, and then (conversely) look for who you do not want to serve. Then, of course, gear your marketing to the proper class. When you identify a pattern i.e. 40% of your top clients have kids going to the same school, or they work in the same industry, you can start to build out your client avatar. Take into account any feedback you can get from your team. Your supervisor will have some great insights that you may not be aware of, as will your sales person. When you have an outline of the avatar, print it out and place it somewhere on your wall along with a picture of an actual client that represents the avatar. Every time you create an advert, write an article for your website or produce an email to send out to your database, look at the person on your wall and write to them. And to avoid wasting your time on negative avatars, make sure you download our Builders Qualifying Checklist which gives you the questions you need to ask in order to avoid building for nightmare clients! There’s a link inviting you to download a copy of The Qualifying Checklist for Builders. You’ll need to give APB your email address for this data, but it I think would be a worthwhile “give” — especially if you aren’t anywhere near Australia and so clearly would not qualify as a suitable client for the association!